Joint pain has a huge variety of issues such as it can be due to the gout, rheumatoid arthritis, osteoarthritis, tendinitis, or strain. Other injuries affect the ligaments, bursae or tendons surrounding a joint. 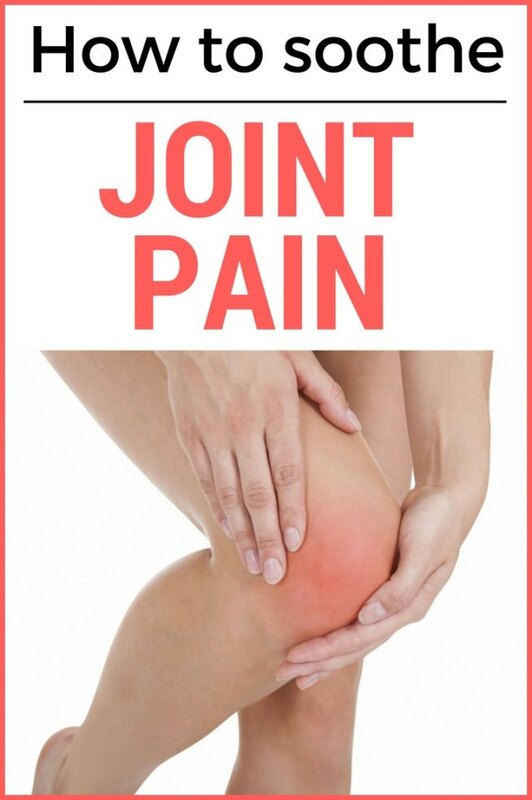 Joint pain appears any part of the body, most commonly the joint pain affect the knees, hips and shoulders. At first, the pain will be mild but gradually it becomes severe by the time and swelling and stiffness appear. The severe condition badly needs a proper diagnose and treatment when it is caused by the arthritis. Massage therapy is the best way to get relief from the joint pain as it helps in improving and increasing the blood circulation. According to some studies, it has been estimated that regular massage will improve the severity of the pain, stiffness and swelling. You can do massage using the warm coconut oil, mustard oil, castor oil, garlic oil applying gentle pressure of your hands to the affected part. Hot and cold compress, both are beneficial in the case of joint pain. Hot compress decreases the pain thus increases the blood flow and gives relaxation to the sore muscles and joints. On the other hand, cold compress therapy helps in reducing the swelling and inflammation while numb the areas around the joints. Wrap both of the compresses in the separate towels. Remember, you do not apply them directly on your skin. Place the hot compress on the affected joint for just three minutes. Now remove the compress immediately and then put the cold compress for just one minute. Repeat the process and use the compresses alternatively for about 20 minutes on the daily basis to get relief. Note: Do not try this remedy if your affected area is red, hot and irritated. Fenugreek is the best recommended remedy to reduce the joint pain because it contains antioxidant and anti-inflammatory properties as well. It is beneficial for those people who are suffering from arthritis. Swallow one tsp of finely ground fenugreek seeds and then drink a glass of lukewarm water. Do this remedy in the morning until you see the positive outcome. Optionally, soak one tsp of fenugreek seeds in water overnight then eat the soaked seeds in the next morning. Turmeric is an excellent remedy for joint pain. It is an Ayurvedic remedy contains active ingredient called curcumin which has anti-inflammatory property. A study in 2009 published in the Journal of Alternative and Complementary Medicine, researchers compared the curcumin with the ibuprofen and the result was that curcumin is effective as ibuprofen for relieving the joint pain. Mix one tsp of turmeric powder with a little amount of honey in a glass of warm milk. Drink this water daily for few days. Another thing is to take 250 to 500 mg turmeric capsules three times daily until you are satisfied with the results. Apple cider vinegar is totally beneficial and advanced remedy for reducing the joint pain by eliminating the toxic substances from the joint and connective tissues. Apple cider vinegar has alkalizing effect for those who are suffering from arthritis. It is rich in minerals like magnesium, potassium, calcium and phosphorus. Mix at least three tsp of organic apple cider vinegar with a little honey in a cup of warm water. Drink this solution three times a day, especially before taking meals. Continue this amazing remedy regularly as it is good for your overall health. You also have an option to massage the affected area with a mixture of one tbsp. of apple cider vinegar and one tbsp. of olive oil. Do this daily until your joint pain is vanished. There is a compound present in the cayenne pepper called capsaicin which has natural analgesic property. The 2010 study published in the Journal of the Medical Association of Thailand that when you apply a gel containing 0.0125 percent of capsaicin, it will be greatly helpful to relieve the mildness of the joint pain in women suffering from knee osteoarthritis. Warm one-half cup of coconut oil. Now mix two tbsp. of cayenne pepper powder. Apply this on the affected area then leave for 20 minutes. Rinse it off and do this remedy few times a day until you get relief from the pain. You can also use a capsaicin cream on the affected area daily. Epsom salt bath is recommended in this situation because it Epsom salt contains magnesium and when you take Epsom salt bath, your skin will absorb the magnesium. The joint pain is thus associated with low levels of magnesium. Not only this but magnesium helps in reducing the inflammation and aids in detoxification of cells. Soak in it for 20 minutes. 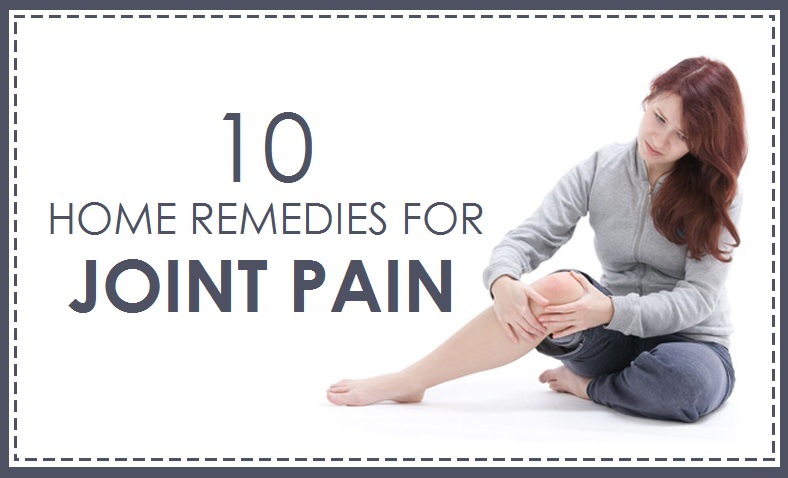 Repeat the remedy three times a week until you get relief from joint pain. Garlic is rich in sulfur and selenium and beneficial for those who are suffering from arthritis and joint pain. Sulfur reduces the inflammation and selenium reduces the rheumatoid. Add garlic in your daily food or you can chew a raw garlic clove daily while eating meals. If you do not like the smell and taste of the garlic, you can choose option to eat garlic supplements. Fry two garlic cloves in two tbsp. of mustard or sesame oil. When you notice the cloves are turning black, turn off the heat and strain the excess oil. Allow it to cool then massage it into the affected area. Leave it for three hours then wash it off. Do this remedy two times daily. Ginger is an excellent ingredient for muscle and joint pain. It has anti-inflammatory actions which do wonders. Prepare a tea from ginger and drink this. You can include fresh ginger root or dried ginger powder in your food. Take a small piece of ginger root, boil in a cup of water for 10 minutes then strain the solution. You can add little honey for the taste. Another option is to mix equal amounts of ginger, turmeric and fenugreek powder. Consume one tsp of this mixture daily in the morning and evening until you are satisfied with the results. According to the studies, it has been found that stinging nettle is a useful therapy for joint pain and it does not contain any side effects. This herb has the active compounds that are good for reducing the inflammation. It is rich in boron, a mineral that is required for healthy bones and joints. Steep three tsp of dried stinging nettle leaves in a cup of hot water for about 15 minutes. Strain the water and drink this tea. Repeat the process three times a day until you get the improvements. You can also place fresh nettle leaves on the affected area for 30 seconds. Do this remedy daily for a week or more. It will cause a little discomfort but will eliminate the pain.